A continental breakfast of hot coffee, tea , milk, orange juice, English muffin, raisin bread, cereals, and fresh fruit is included in the room rate. Breakfast is served in the reception area. You may take take breakfast to your room if you prefer. In the summer tables are available outdoors for our guests in the garden of the motel. 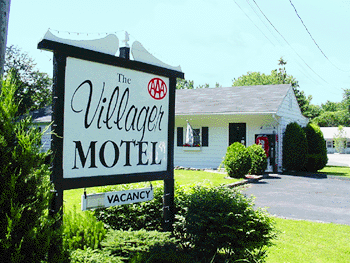 The Motel is in a quiet wooded location set back from the main road so you can enjoy a peaceful visit!